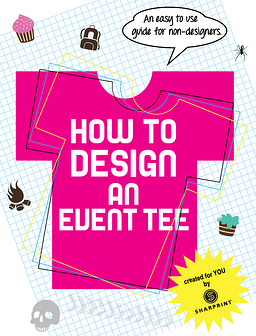 Designing an event tee can be super easy even if you're not a designer. In fact, the design can be concepted without knowing how to use Adobe Photoshop, Illustrator, or other design software. Download this easy to use guide for non-designers, and become the awesome designer you always dreamt to be!